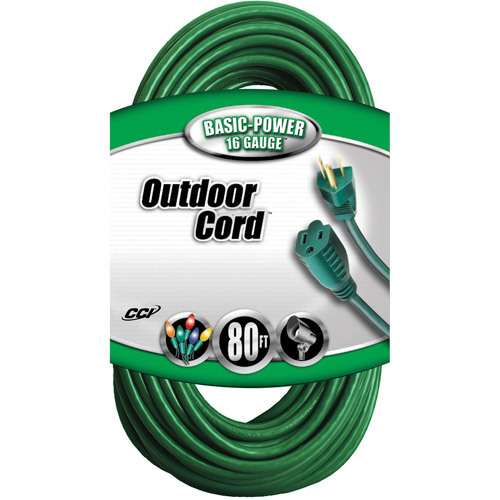 CCI�� Basic-Power Outdoor Cord��� 80 FT. 16 Gauge���. Exactly what I expected. Great second outdoor cord. First green one I've bought. Do be careful to make sure its out of the way!! Because it does blend into the lawn.